So, I clicked on a USA Today link, which was a mistake in itself, and it turns out the link was broken and this was how a major media publication chose to inform its readers of this fact. I have no words. 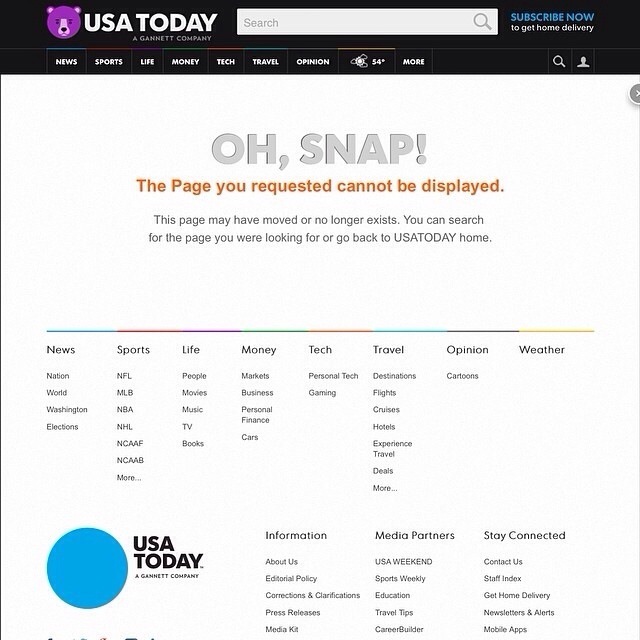 Instead, here are clips of people saying “Oh Snap!” (usually ironically, as it is a fairly dated expression, though if anything can return it to relevance, it’s the ever relevant USA Today). This only technically qualifies, but I’m going to include it solely for the sake of thoroughness. Well, we all know the media is going to hell in a handbasket, if it can survive that long. The important thing is, you really had a good time with that.